Our range of products include finger time attendance system. 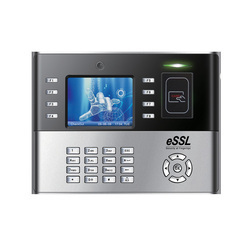 We offer our prestigious clients the premium range of Finger Access Control System. In synchronization with the set industry standards, our provided system is well manufactured using the latest technology. Owing to its optimum functionality and superior quality, this system is widely appreciated by our precious clients. Moreover, to ensure the best quality, the offered system is stringently tested by our quality experts on various quality parameters.